SCOPE Productions has the pleasure of announcing that Megan McCormick will perform live at the Black Box Theater on November 3rd at 9:30 PM. 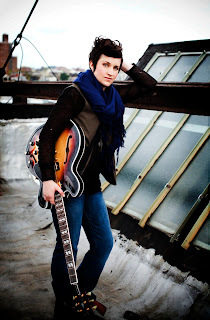 Megan McCormick is not some burgeoning new artist with the need for superstardom through the means of sugary pop music. She is, however, a newcomer to the musical scene. With her debut release, Honest Words, McCormick is showing the world that heartfelt honest songwriting is still alive and kicking. Tracks like “Wreck,” “Shiver,” and “Drifting” show McCormick’s overall diversity. She changes from soulful blues guitar shredding to soft heartfelt acoustic songs about love and loss. Her debut album shows the emotional maturity of someone way beyond her young age of 23. McCormick may be new to her career as a musician, but she is no stranger to Iowa City. She has appeared twice in the last year, once previously in the IMU Main Lounge opening for Singer/ Songwriter Matt Nathanson. McCormick is sure to make the third time a charm and bring out all the stops to give an awe-inspiring performance. Tickets go on sale Thursday, September 9th at 10:00AM and can be purchased at the University Box Office where students can UBILL their tickets, and at all Ticketmaster locations. Persons with disabilities are encouraged to call (319) 335-3041 for special seating accommodations. 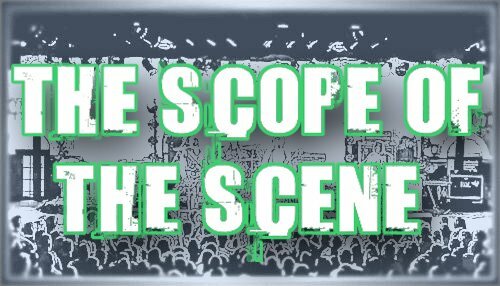 For additional information regarding SCOPE Productions, please visit www.scopeproductions.org. For press inquiries, contact Zachary Isom at (319) 213-1755 or zacharyisom@gmail.com.